Justice Antonin Scalia’s death signals potential for change–time for an Asian American justice on the Supreme Court? The Twitterverse was abuzz as soon as the news broke that Supreme Court Justice Antonin Scalia had been found dead at a resort in West Texas. I saw honest expressions of shocked disbelief, some with a mixed sense of sadness and relief that a tenacious conservative opponent had passed on. Based on your politics, Justice Scalia’s death represented the end of an iconic rock-hard conservative era, or the removal of a gigantic roadblock to social change in America. President Obama, who was in California for the first-ever ASEAN meeting on American soil where many of our ancestral homeland leaders are convening, took time out to praise Scalia on Saturday night. That was a nice way to put it. It wasn’t a eulogy, but an honorable acknowledgment of Scalia’s influential career. And then it was time for what everyone wanted to know: What about Scalia’s replacement? The Senate, though controlled by Republicans now, has 34 seats up for grabs in 2016: 10 Democratic and 24 Republican. Add that to the presidential race and the Scalia replacement becomes the hot topic of the campaign season. But there’s a chance for at least one vote before the end of the year, said John Trasvina, Dean of the University of San Francisco School of Law. On Saturday night, Trasvina, who was also a former counsel to the U.S. Senate Judiciary Committee, told me that the GOP would be smart to allow one Senate vote before the election. He figures if the GOP blocks a nomination now, the Democrats in the Senate would return the favor and definitely hold up a GOP president’s nominee. But if the Democrats win big in November, a GOP Senate wouldn’t have the same leverage to block a Democratic president’s nominee. “That’s why it will get done, at least a vote on one nominee, this year,” Trasvina said. And that’s why an Asian American may be nominated to the Supreme Court. Whomever Obama nominates in the not too distant future has to make it through the Republican-controlled Senate. Some observers I’ve talked to have mentioned some likely Asian American names. Other names include federal appellate court judges Denny Chin (2d Cir.) and Jacqueline Nguyen (9th Cir.). 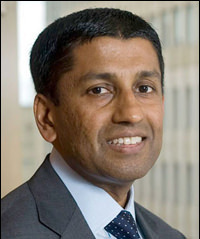 But a leading contender may be Sri Srinivasan, a judge in the U.S. Court of Appeals for the District of Columbia. 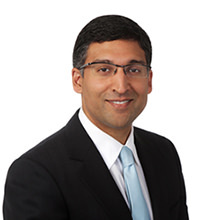 The 48-year-old Indian immigrant and Stanford Law grad has an appealing credential: his 97-0 confirmation vote by the U.S. Senate in May 2013. Trasvina, another Stanford Law grad, suggested a Filipino American nominee. 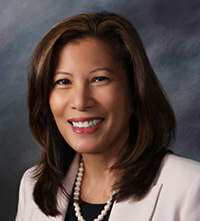 “One Asian American judge who would enjoy bipartisan support is Tani Cantil-Sakauye, Chief Justice of the California Supreme Court, a moderate appointed by Governor Schwarzenegger,” said Trasvina. An Asian American of Filipino descent and a woman with Republican appeal? It could happen. There has never been an Asian American justice on the United States Supreme Court. But it would be a delicious bit of judicial irony if the replacement for the late Justice Scalia were an abundantly qualified female person of color. 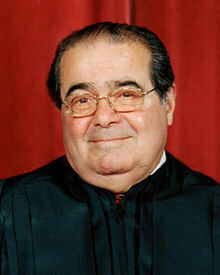 It surely would add balance to Justice Scalia’s great legacy.